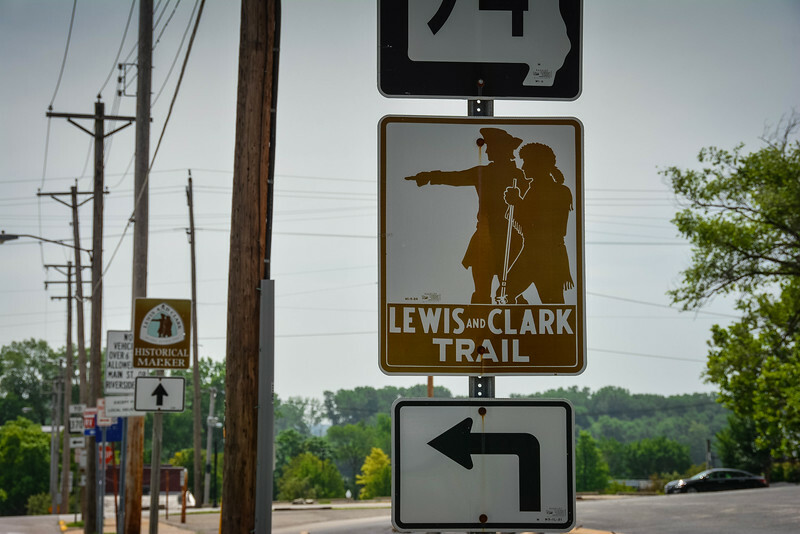 When Lewis and Clark started their epic adventure across the United States, it’s no surprise that they started out in historic St Charles, Missouri. After spending a couple of hours in St. Charles during one of our weekend trips to St. Louis, we certainly can appreciate why Lewis and Clark would have chosen this location as the perfect spot to embark on their journey across the country (of course the geographical proximity to St. Louis and the fact it is on the Missouri River helped make the decision for them). 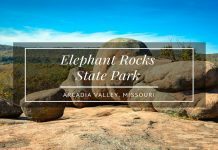 We love exploring new locations that we visit and what better way to do this than by parking our car and walking around to see exactly what St. Charles had in store for us. 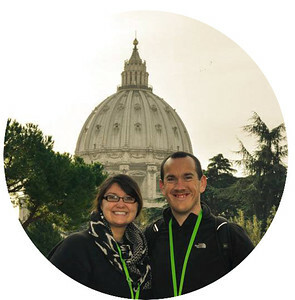 While we only spent a short time there, we learned enough to suggest that the relaxing atmosphere that oozes through the cobbled streets would warrant a return visit and certainly deserves to be recommended to our readers around the world. 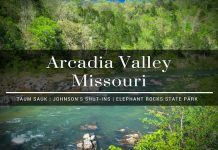 If you plan on visiting St. Louis or the state of Missouri in general, I would strongly encourage you to take some time to pay historic St. Charles a visit. Located on the banks of the Missouri River, St. Charles is now a historic landmark for many reasons, not just because of its association with Lewis and Clark. 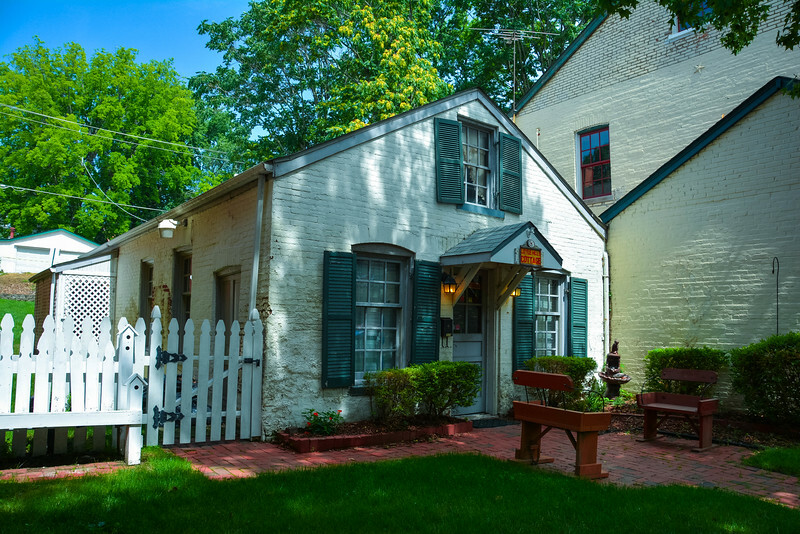 This quaint town is located just a short 20 minute drive from the heart of downtown St. Louis. As you pass through the neighborhoods before reaching Main Street you immediately notice that everything here is so much calmer and relaxing than the hustle and bustle of nearby city life. 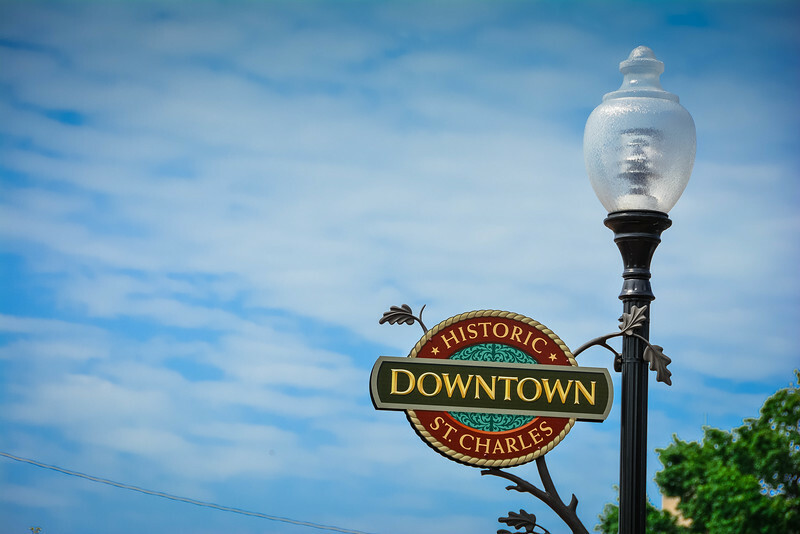 It’s no surprise to hear that many people travel to St. Charles to simply spend a day here relaxing away from the hectic lifestyles and enjoy the welcoming local feel that is stereotypical of this river town. 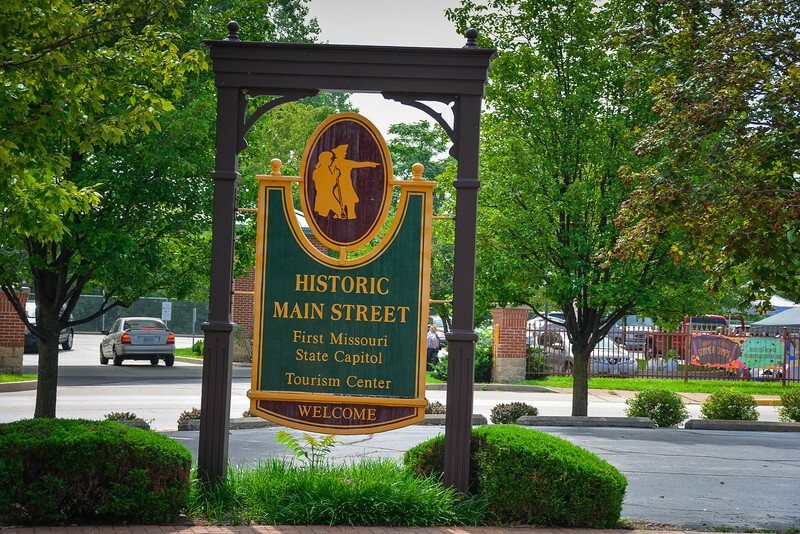 Dating back to 1769 when St. Charles was founded by a French-Canadian fur trader, this is one of Missouri’s oldest towns. As we walked along the ancient cobblestones on Main Street, it is great to see how the local community has preserved the rich history and heritage that has been present here throughout the centuries. 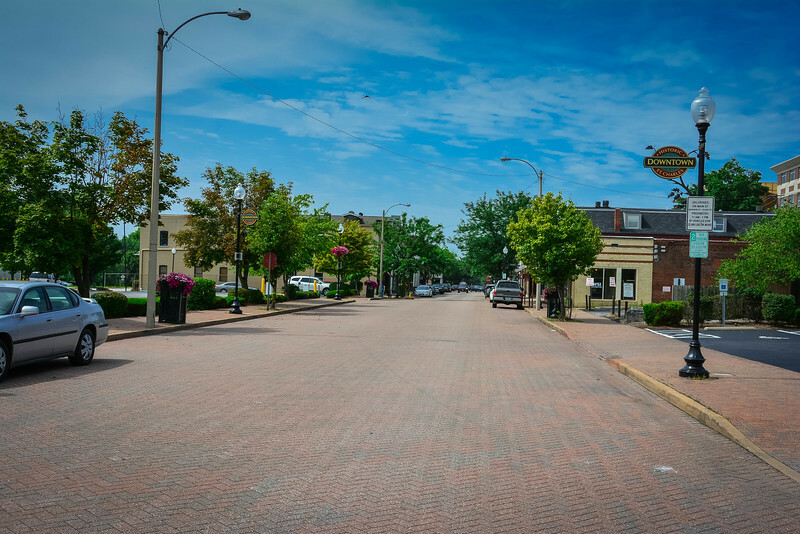 After driving around the rest of St. Charles to try and get an idea of what to expect, we were left a little disappointed prior to visiting Main Street. We found very little else in St. Charles but perhaps this was because much of the town has seen modernization which is to be expected. However, this is opposite to what we experienced once we drove along the cobbled street and passed by the sign indicating we had reached ‘Historic Main Street’. 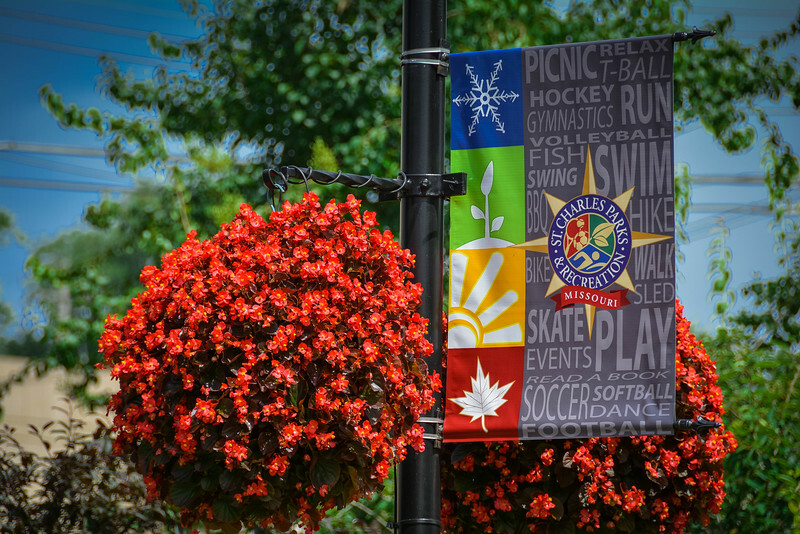 Downtown St. Charles on Main Street…it’s the place to be! The idyllic tea shops and restaurants that I would typically associate with a Yorkshire town like Haworth was very apparent in St. Charles. Whether you want to sample some fine German or Italian cuisine, or just grab an ice cream while you stroll along Main Street, there is plenty of choice available. One restaurant that particularly caught my eye simply because of its novelty was the Mother-in-Law House restaurant. 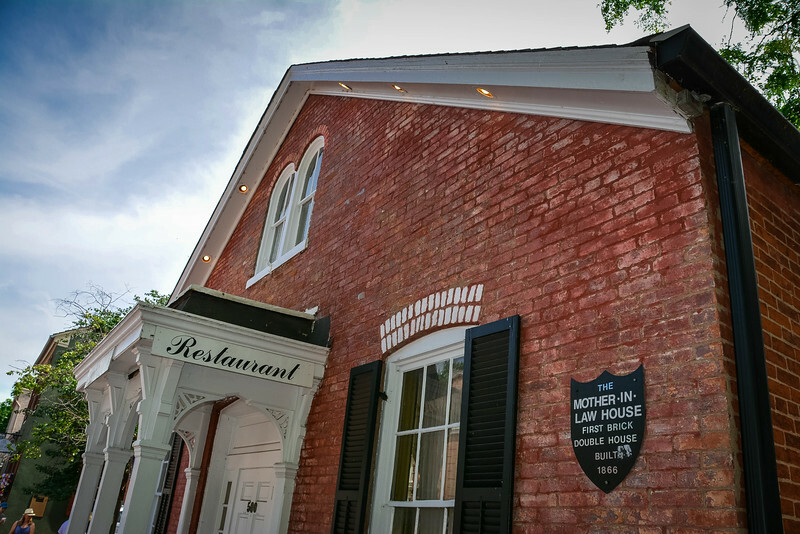 As the sign on the side of the building shows, this was the first brick house to be constructed in St. Charles in 1866 and today offers a wide menu selection for both lunch and dinner. The walk along Main Street is not particularly long but we encourage you to experience many of the shops and boutiques available. 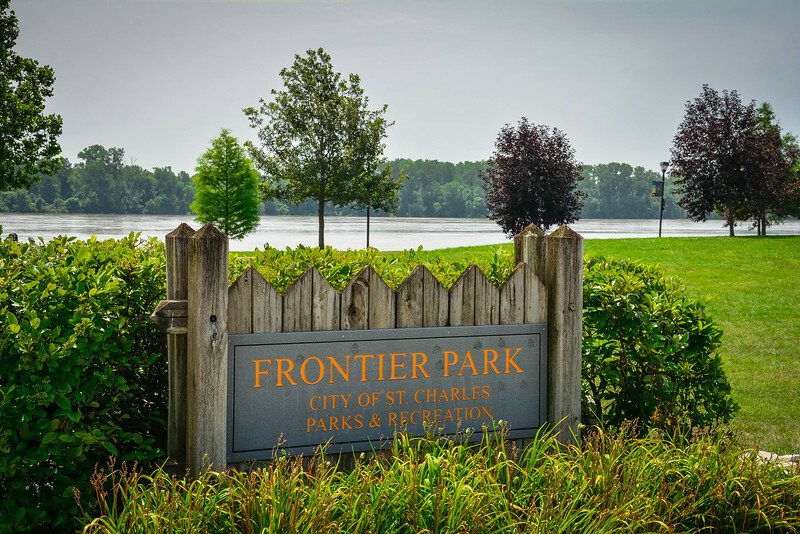 However, if retail therapy is not really your thing, perhaps taking a stroll down to Frontier Park that runs parallel to the Missouri River will be more interesting. 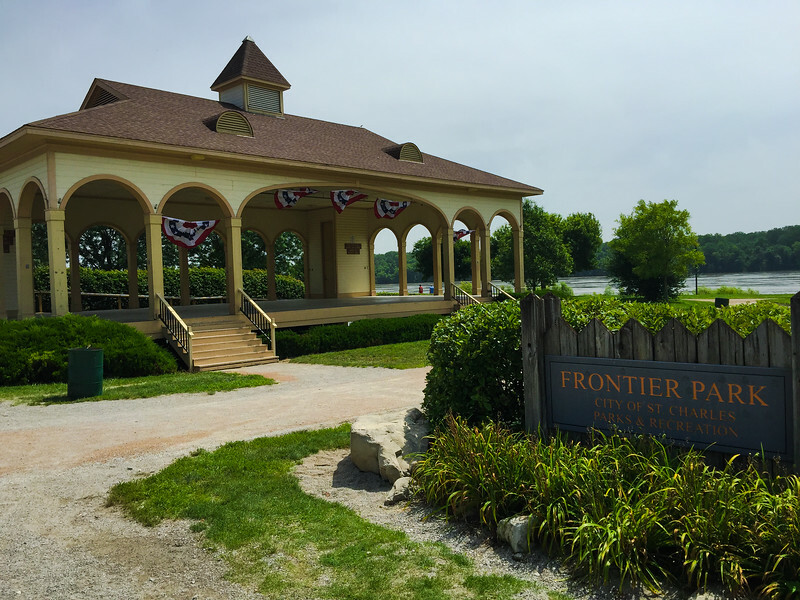 Frontier Park is home to a number of special events throughout the year and offers panoramic views across the river and the nearby bridges that head back towards St. Louis. 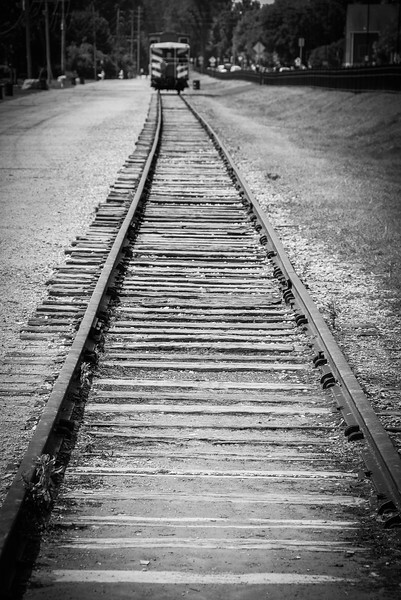 The old rail tracks provide an opportunity for reflection as you think back to when the rail industry was more prevalent and you can imagine rail and river transportation being key industries along St. Charles. The Jaycee Stage in Frontier Park is a cool looking platform that is a perfect venue for concerts, weddings and other celebrations. 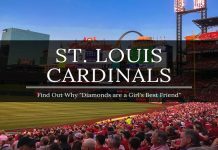 If you are considering a location for a fun-filled event in the near future, perhaps St. Charles, Missouri should be on your radar as this venue along the banks of the Missouri River would surely be a popular choice for your guests. 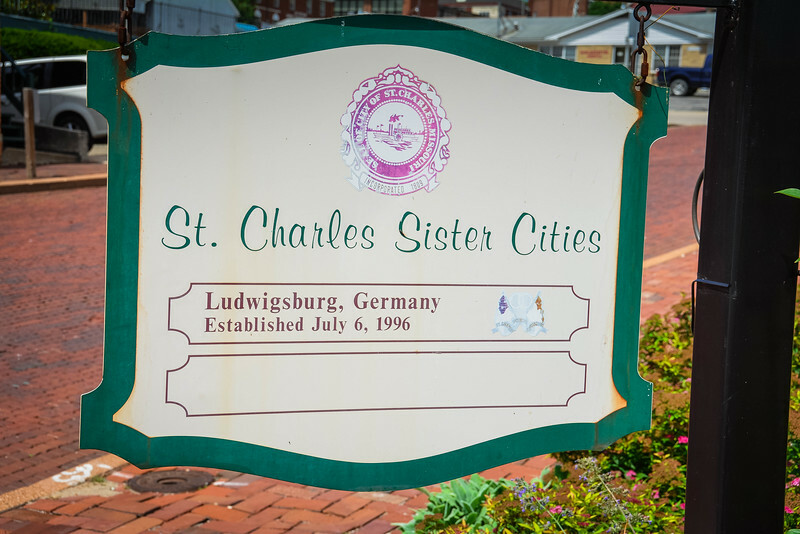 The international feel of St. Charles is present throughout the town, not only with the various cuisines from around the world to satisfy your tastebuds and the souvenir/gift shops, but through the clear advertisement that this town has sister cities across the globe. Although the sign only indicates St. Charles is connected with Ludwigsburg, Germany, a local kindly informed us that there is a distinct Irish connection here also (no surprises when you see the Irish flags and shamrocks strategically scattered along Main Street) through the connection with Carndonagh, Ireland. Just like any other sister city program, the idea behind this collaboration is that it increases mutual understandings and appreciation of different cultures and nations. At the same time it creates potential for business ventures and educational programs that interlink between St. Charles and its sister cities. Both cities were strategically selected; Cardonagh primarily because of its rural setting and being the exact opposite of St. Charles it will allow exchanges of students to experience both lifestyles; Ludwigsburg is comparable in size and being close to Stuttgart, Germany it has a similar relationship as St. Charles does with St. Louis. After walking around St. Charles, I am glad that we took the time to visit this town despite it frequently lying in the shadow of St. Louis. There was a real relaxing ambiance throughout the town and the way Main Street has been preserved over the years makes this an attractive tourist destination. Don’t be fooled when visiting St. Louis that you have to stay within the city limits. 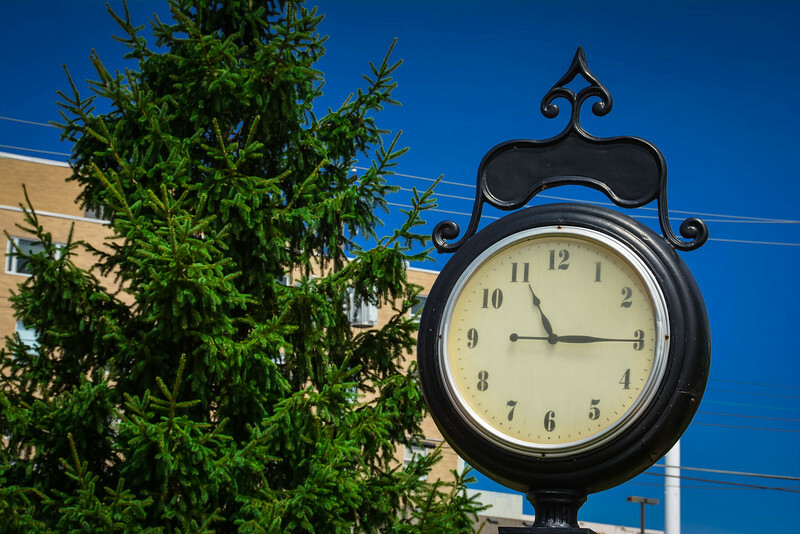 Of course there is plenty to see and experience but be willing to get out and explore because you will stumble across picturesque towns like St. Charles. 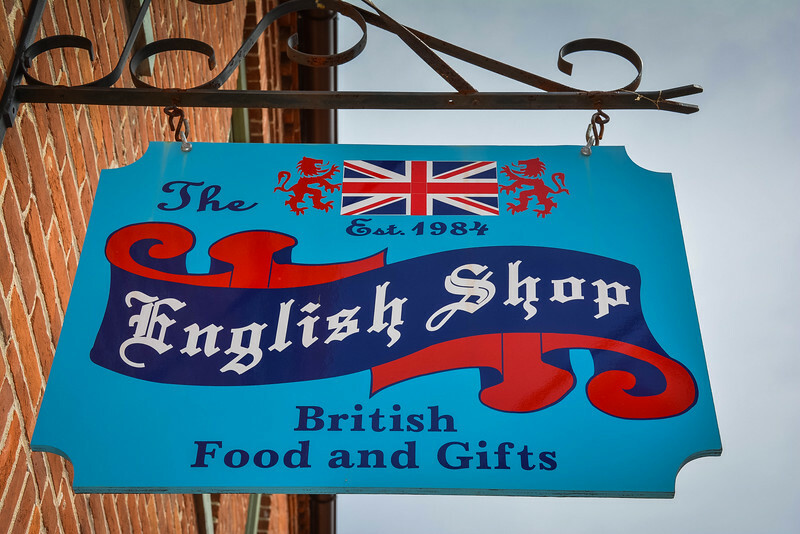 If you are British and miss some of the experiences and delicacies from across the pond, St. Charles may just provide a little home comfort. 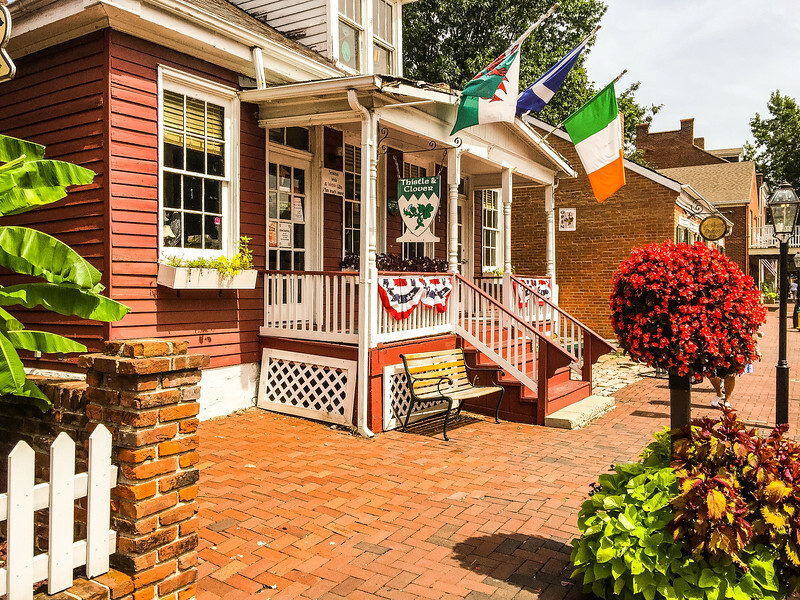 We look forward to returning to St. Charles again and just strolling along Main Street taking in the scenery and enjoying a bite to eat in one of the local establishments. The historical connection with Lewis and Clark is enough reason for us to add it to our itinerary next time we are in this part of the US. We followed much of Lewis and Clark’s route a few years ago and found their journey and place in US history fascinating. So much history in this part of the country for sure! We look forward to hearing about your experiences in St. Charles and hopefully you will have an equally great time as we did. I have been to St. Louis a few times, but never St. Charles. It is such an adorable town, and that tiny door in the photo really made me smile. Where does it lead? Well now that’s a secret Rhonda 🙂 Such a quaint town for sure and like you we are frequent visitors to St. Louis and only recently decided to hop across the river and check out St. Charles. So glad that we did though. St. Charles looks like a fun place to visit. I will be traveling that way over the holidays so hopefully I can stop for a visit – looks like it would be beautiful at Christmas time! I was really hoping we would have an opportunity to return to St. Charles before Christmas because I agree it will look gorgeous with all the Christmas festivities and celebrations taking place. 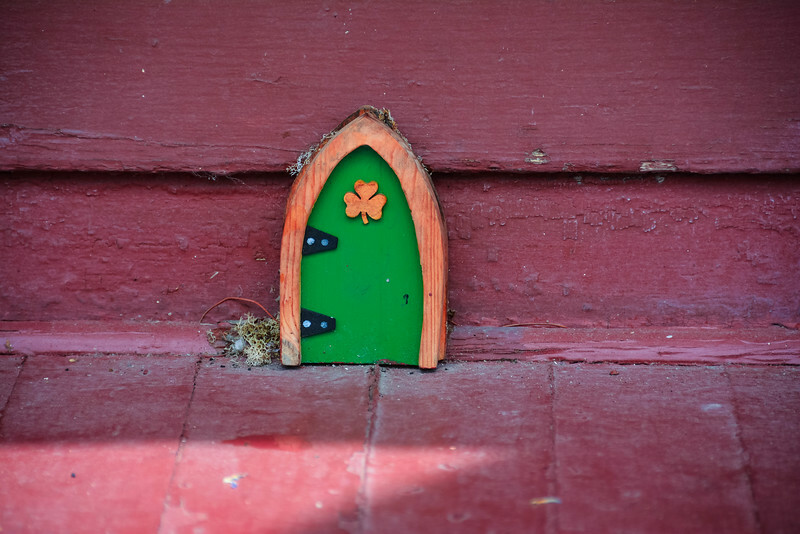 How cute is that leprecharn door?? St. Charles looks like such a sweet and charming little town! I love all the little details like the little door and that park looks beautiful, right on the river and all. All too often these little towns have little to offer other than the main street but sometimes that’s all you need! Very pretty! I spent an entire summer working near St. Louis. So bad I didn’t know about this small town back then. The entire area is very nice. Hope I can return one day. What a nice article about my town! Can I make one small clarification? The earliest brick buildings still standing on Main Streer date to about 1800-1810. The Mother-In-Law House was simply the first so-called “double house” built here. Basically a modified duplex. The original structures in town would have been log cabins of course, built with the logs placed vertically, in the French style. 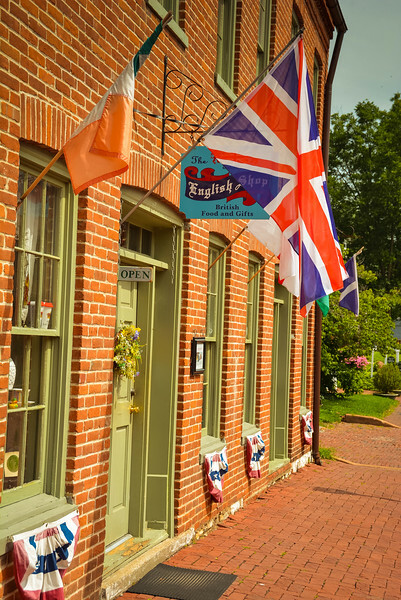 Our oldest brick buildings are some of the earliest French colonial structures in North America. As a Main Street tour guide, I love sharing the history of Main Streer and St. Charles with everyone. Should any of your readers visit Main Street, I recommend stopping in to the Visitor’s Center at 230 South Main to pick up a map of Main Streer showing all of the stores and restaurants, as well as information on locals events and festivals!